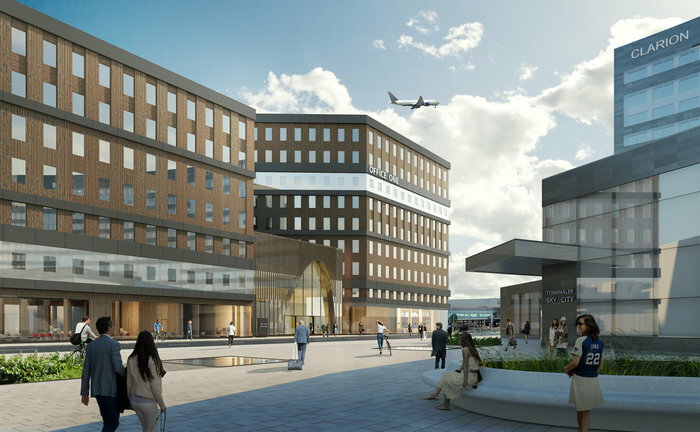 United Spaces has signed an agreement with Swedavia for a long-term collaboration on the Office One complex adjacent to Stockholm Arlanda’s terminal buildings. The SkyCity Office One complex at Stockholm Arlanda Airport is 15,000m², comprises 10 storeys and is located immediately adjacent to the airport’s international Terminal 5 and domestic Terminal 4. The property will now be a unique co-working venue that United Spaces, a Nordic co-working company, will operate on Swedavia’s behalf. Karl Wistrand, CEO of Swedavia Real Estate, said, “Stockholm Arlanda Airport is poised to become the leading meeting place in the Nordic region for business meetings and conferences. The airport is a unique place to establish a growing business based on the future way of working – open, international, flexible and with a focus on meetings between people. The office space is soon to be inaugurated, with its opening expected to take place in March 2019.